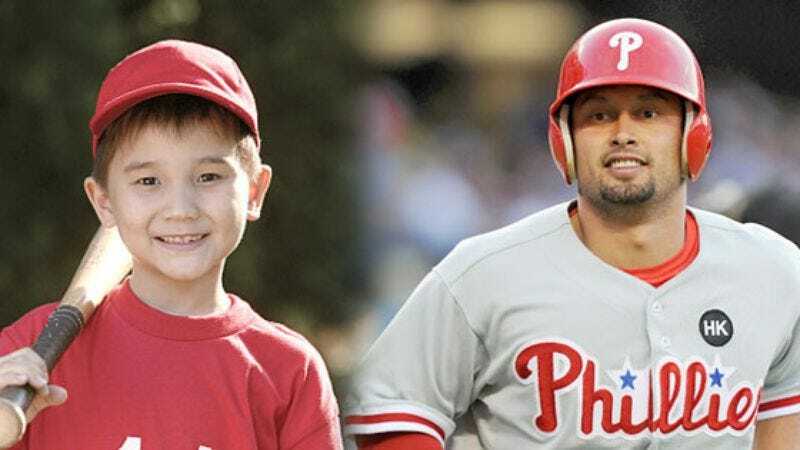 PHILADELPHIA—Eight-year-old, 67-pound Phillies bat boy Joey Potts effortlessly restrained Shane Victorino from a dispute with plate umpire Ed Rapuano after the center fielder's ejection in the seventh inning Sunday night. "He was really light and easy to push down," Potts told reporters of the 28-year-old professional baseball player. "I was just trying to help because I didn't want Mr. Victorino to get in trouble, but then he was just on the ground screaming that I broke his back. He screamed kind of like a girl." Potts apologized to Victorino the following day during an emotional press conference in which both cried.